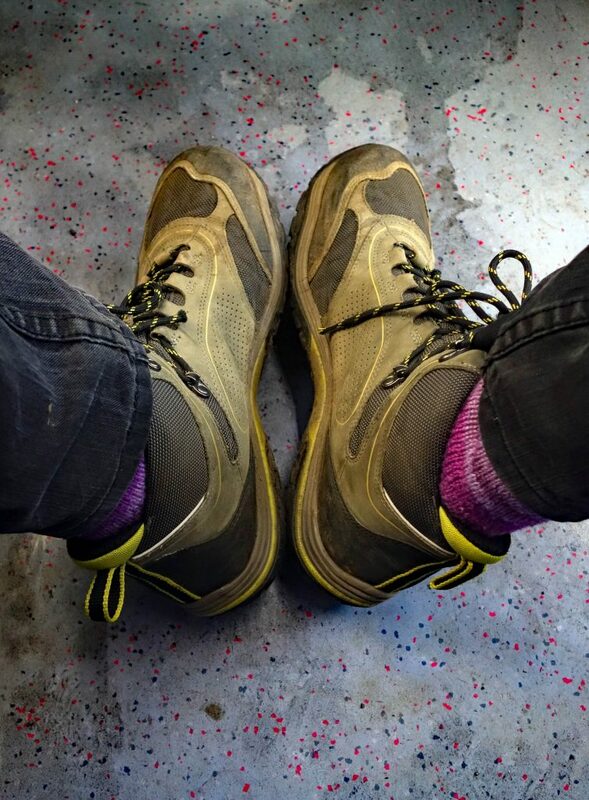 From April 2019, one of our two monthly walks will consist of a 10-12 mile section of the iconic North Downs Way which runs from the Hog’s Back of Surrey to the White Cliffs of Dover. The third leg of the North Downs Way is even more stunning than the second. Having reversed our direction of travel, going from east to west for leg two, we resume our eastbound progress. On leaving Box Hill and Westhumble Station we pass under the A24 then cross the River Mole. At the time of the recce the famous ‘stepping stone’s crossing was out of action so the nearby footbridge was used to cross the stream. We then enter the woods of Box Hill and climb very steeply, gaining 170 metres of height by the time we reach the summit. Having taken in the breath-taking views from Box Hill, we continue eastwards, descending through Oak Wood before rising again to an elevation of 210 m. A further descent takes us down to Betchworth where we plan to picnic, before we undertake our final steep climb of the day from the bottom of Juniper Hill to the top of Colley Hill (120 m ascent). From then on we remain mainly level, reaching our maximum height of 235 m., until we rest a while at the Gatton Park picnic area, complete with coffee and ice cream shop and toilets. Our final 2.5 miles takes us gently downwards, through the grounds of the Royal Alexandra and Albert boarding school then across Reigate Hill Golf Club to the finish of the walk at Merstham Station. The following walks are fully booked. 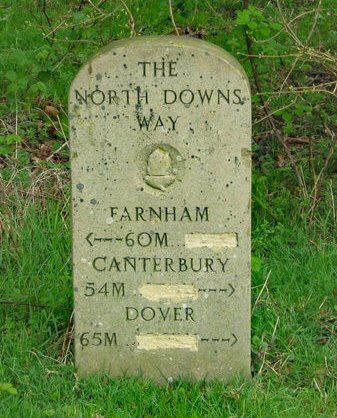 This walk, starting in Farnham and ending in Guildford, is a wonderful way to begin the North Downs Way national trail. As we exit Farnham station, we head down Station Hill to reach the A31 and turn right to follow the road. A large signpost indicates the start of our route and soon we leave the roadside to follow a beautiful wooded path. Soon after, the first photo opportunity presents itself at the quirky North Downs Seat. We continue our walk alongside the River Wey, through woods, grasslands, fields, and by golf courses and private property. Along the way, more attentive walkers may wish to take up the challenge to find ‘The Fairy Tree’. As we continue on the NDW there are fine views of the Hog’s Back to be enjoyed before we reach our somewhat late lunch stop in Puttenham. After refreshment, we continue to the east encountering a vineyard, a nature reserve and a fine sandy path. We end our walk when we meet the River Wey once again, turning left to head towards Guildford station and, for those inclined, the possibility of refreshment at a riverside inn. This is a lovely walk along the opening section of the Greensand Way (GSW), which takes us via Hindhead Common, Gibbet Hill and the large natural amphitheatre of the Devil’s Punch Bowl.We start from Witley station and head west along the GSW, as it undulates through woodlands and villages to cross the A3 Portsmouth Road. Soon after, we reach the village of Thursley and turn south, climbing steadily and then steeply to traverse Hindhead Common. At Gibbet Hill (site of a gruesome murder, an account of which features in Dicken’s Nicholas Nickleby), we detour off to the west to enjoy fine views of the Punch Bowl, before heading south once more to re-join the GSW. Descending through the delightfully named Polecat Valley, we enter the outskirts of Haslemere, and follow suburban roads to the town centre and the end of the walk. 15 miles / 24 km. The second beautiful leg of the North Downs Way starts at Boxhill and Westhumble Station and follows the crest of the Downs west to Guildford. The route begins by passing through Westhumble village but very quickly winds through woods up and onto a ridge overlooking extensive vineyards with Dorking in the distance. The walk continues along this wooded ridge, providing extensive views over Surrey countryside to the south. After crossing Ranmore Common, we head south-west past White Downs, Dunley Wood, and Hackhurst Downs before reaching Netley Heath where we stop for our picnic lunch. Feeling well-rested, we continue on the well-marked NDW route until we get to the familiar sight of Newlands Corner, where there are toilets and the possibility of further refreshment, if the mood takes you! From here we follow the route of one of our 2018 walks, eventually climbing St Martha’s Hill to enjoy further glorious views to the south. The last leg sees us continue on the NDW to meet the River Wey where we head north to Guildford Station with an opportunity on the way for thirsty walkers to get a richly deserved drink. This is an easy riverside walk along the Saltmarsh Coastal Path (SCP) which takes us from the coastal town of Burnham-on-Crouch along the northern bank of the river to the small Essex village of North Fambridge. We start at Burnham-on Crouch station and follow the main road down to the quayside where the SCP begins. We walk through boatyards and marinas and enjoy fine views of Wallasea Island on the far side of the river. Passing through Creeksea, where King Canute allegedly demonstrated a monarch’s inability to control the tides (also claimed to occur in several other locations), we reach an “Essex cliff”. Those walkers walked the Seven Sisters will not even notice it. We continue to Althorne passing Bridgemarsh Island on the way. The island was once inhabited and contained a brickworks but is now barely visible at high tide. The SCP then passes Shortpole Reach and Longpole Reach with the Blue House Farm Nature Reserve on the inland side. We eventually reach North Fambridge Yacht Club and head inland past the Ferry Boat Inn, originally on the water’s edge but now 200 yards away. We then follow the road to North Fambridge station and the end of the walk.